IRESE offers new opportunities to earn commissions for mortgage bankers, mortgage brokers, real estate agents and brokers, and financial advisers. When you originate Future Equity Agreement underwritten through IRESE, you earn commissions not once, but potentially twice. Homeowners hold a large percentage of their wealth in their homes are not diversified and are very sensitive to a decline in property value. Therefore, homeowners are unable to leverage their home equity without taking on more debt. IRESE offers a Future Equity Agreement to provide interest-free cash today in exchange for a share in the future equity of the property. To unlock the home’s equity, a homeowner is required to sell their home prematurely, or take out expensive reverse mortgages or home equity loans. With Future Equity Agreement, property owners can unlock the future value of their homes today and receive immediate cash with no payments. When you originate a Future Equity Agreement at IRESE, you earn commissions at origination. For example, if the cash amount is $50,000 and IRESE charges a 1% origination fee ($500), you receive up to 50% of this amount, or up to $250. When the Future Equity Agreement ends and there is a payout on the agreement, you receive up to 50% of the payout servicing fees IRESE collected, which generates another $500 on the $100,000 payout. How does the Future Equity Agreement work? As an example, let us take a homeowner who lives in La Jolla, CA and the current value of his or her home is $1 million, derived from the last sale date and sale price of the property. Further, the homeowner believes that the property value of the home in 5 years will not be above $1.2 million and he is willing to sell some equity above that value. 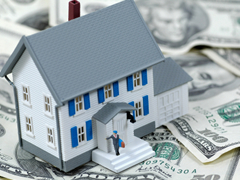 Homeowner would enter into a Future Equity Agreement to get debt-free cash today. Through an IRESE Broker, the homeowner enters into a Future Equity Agreement for a specific term of 5 years, with an minimum property value of $1.2 million and 50% future equity share. Property Owner can get a free quote online. In our example, the homeowner should get $60,321 today, debf-free cash. In 5 years, the payment is based on an observed value of the property which is determined from publicly available price index data. Learn how property value is derived. If the observed value is below minimum value of $1.2 million, the agreement ends and the homeowner owns nothing. And in case of the observed value above $1.2m the homeowner pays the difference. In our example, if the property value is $1.4 million, the payoff is $0.1 million ($1.4 less $1.2 million at 50% equity share). Note, that as a property owner you can only share up to 50% of the future equity appreciation, thus you never can owe anymore then you gain in appreciation. Learn more about Future Equity Agreement from Property Owner perspective. Copyright © 2015 IRESE®, Inc. Patent Pending.